If you’re like me, you might wait until the last minute to decide what gift to get that special someone this time of year. With this in mind, I opened up and tested a few of my favorite gifts early to give you ideas for last minute shopping. 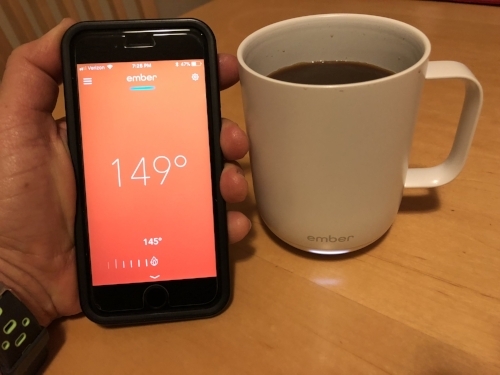 Ember, the “Temperature Control Ceramic Mug,” allows you to use a smartphone app to precisely control the temperature of your coffee, tea or hot chocolate. First I thought it would be crazy to purchase an $80 coffee mug, but last week I read this article in Wired I Can't Stop Drinking Coffee Out of This Temperature-Regulating Mug and I started to consider the possibility. This mug started off as a Kickstarter campaign and was named one of Time's Best Inventions of 2017. Ember has perfected the technology to deal with my pet peeve, which is lukewarm coffee. I’ll be intent on reading or writing and reach for a sip of hot coffee and instead, I get a mouthful of tepid taste. With this app, I actually made a discovery that I like coffee much hotter than the average person, which seems to be about 131 degrees. Drinking from the mug this morning, my ideal temperature was 149 degrees. The mug will either lower or raise the temperature of your beverage and keep it there. I’m not sure how long its battery lasts, but definitely long enough for a couple of morning cups. The Ember website says that due to high demand they can’t ship it for 6-8 days, but you can pick it up at some Starbucks locations, as I did this week. For some odd reason, the company lists the mug on Amazon for $185. I wouldn’t buy it at that price but you might find the customer reviews valuable. Speaking of coffee, sometimes you just want a latte at home. For years, I dragged out my big French press style frother, filled it with milk and started pumping. Eventually, I’d get some decent foamy milk, but it was inconsistent and required washing this pot. For the past few months, I’ve been using the IKEA frother. It’s a clever little $6 device that is fast, produces better-frothed milk and requires little cleanup. It’s a battery-powered device about the size of an electric toothbrush. You stick the head into the milk, hold for 30 seconds and you have perfect foam. Rinse off the stem and drop it in your kitchen drawer. Done. Enjoy a quick, creamy latte. It’s great for hot chocolate, too. My current iPad is six years old and has finally slowed to a crawl. I recently upgraded to this model of the iPad Pro. Beyond it beautiful design, this device has remarkable power, storage (I got the 256 gig version) and features. I use it for business and pleasure; virtually anything you on your laptop, you can do on the iPad Pro. I use it for writing, email, web browsing, video edits, slide edits and sometimes even note-taking by writing on the screen. I shopped for about a year, looking to upgrade the small Canon camera I use to record videos. I wanted something that will work for high-quality video, as well as still photography. 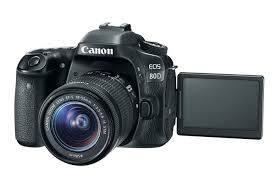 My research kept bringing me to this versatile DSLR camera and my professional photographer friends confirmed the decision. During the past few days, we’ve shot great video and stills and I’m so impressed with the ease of use, durability and beautiful results. There are many different options, but I kept it simple and purchased the basic camera with a standard lens. I’m very happy with this choice. This is a great camera for beginners as well as more advanced photographers. Perfect for prospective YouTubers on your gift list. My pledge to you: I only recommend products I know and trust. If you purchase using my Amazon affiliate link, I may receive a small percentage of the sale. You will not pay any more for the product. We use these fees to purchase books for use in producing the Sunday Coffee newsletter. If you buy these gifts for yourself or others, leave a comment in the future or use our contact form to let me know about your experience. I wish you happy holidays and much success in the New Year! If you want to join the Sunday Coffee Community, sign up for our weekly newsletter with life changing action tips every week.